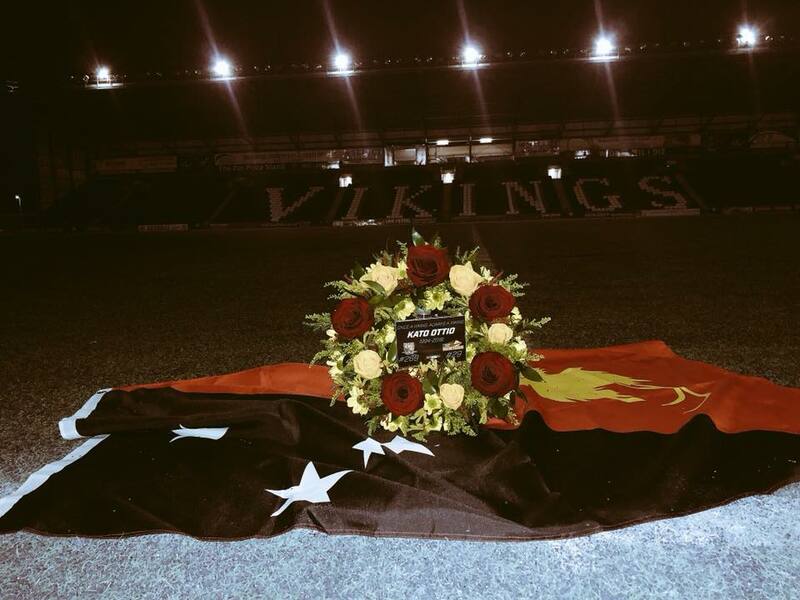 Super League Rugby League Club , Vidnes Vikings have paid tribute to late Kato Ottio with a minute silence at the Haltom Stadium in UK. 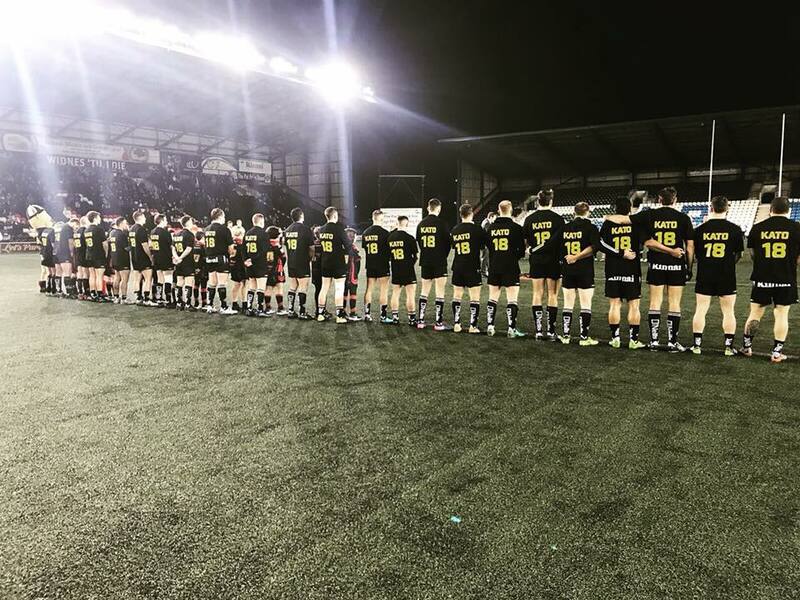 The players wore jersey number 18 during the minute of silence. Viking players remember late Kato Ottio with a minute of Silence before their game against Whitehavens. The club also announced that they have raised up to £4296.71 during the games days and thanked their fans for their donations towards Kato’s loved ones in and around the ground. "As we have raised £4296.71 today, this takes us past the £14,000 mark overall", the club stated via their Facebook page. Kato Ottio died at the age of 23 after suffering "a sudden health issue" in training. Ottio spent two seasons in the Canberra Raiders system but after failing to crack the NRL squad, signed with Widnes in December. He was expected to travel to England this week to get ready for the start of the new Super League season in February. 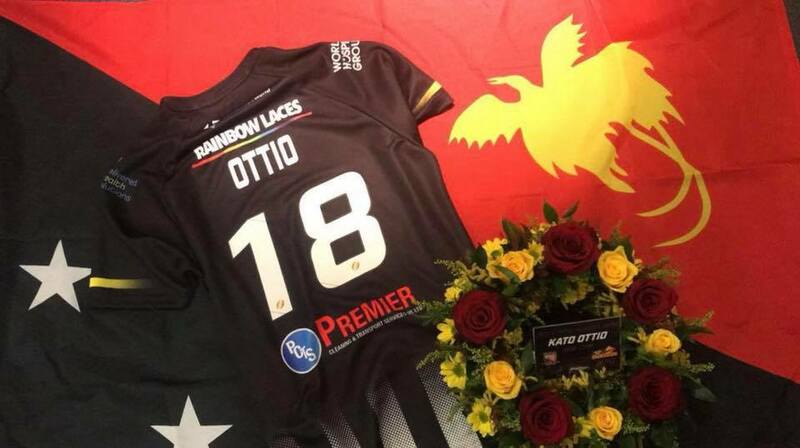 Ottio passed away at Port Moresby's Pacific International Hospital at 2am on Tuesday morning (local time). Photo credit : Vidnes Vikings official Facebook Page.